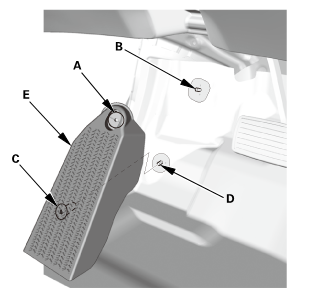 Remove the lower clip (A) from the stud bolt (B) with a 6 mm hex socket wrench. 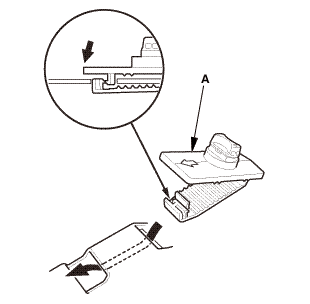 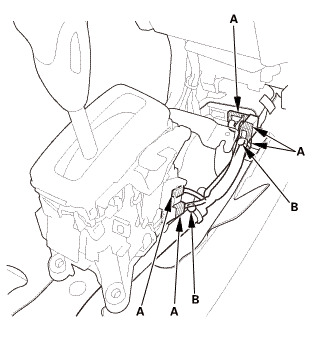 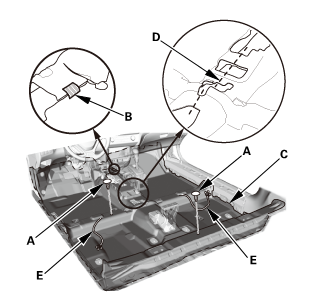 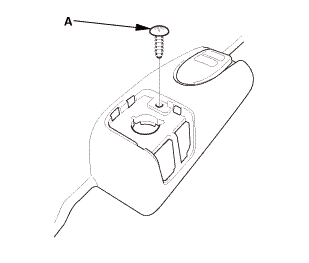 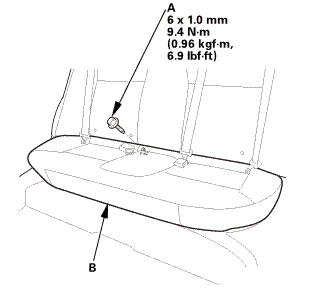 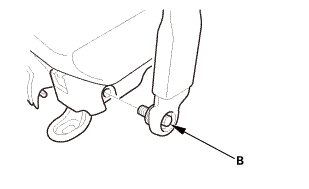 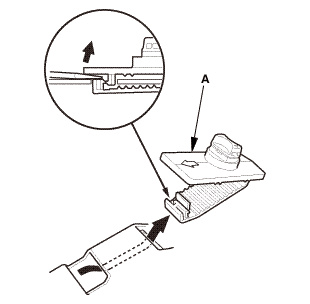 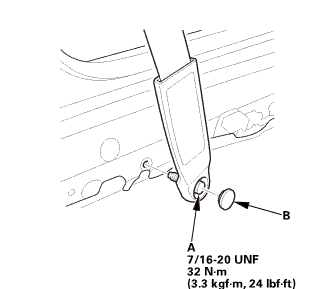 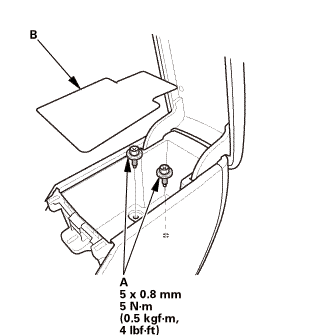 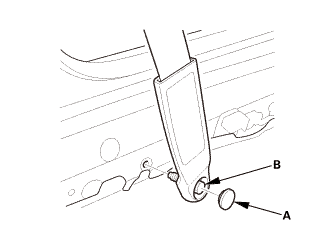 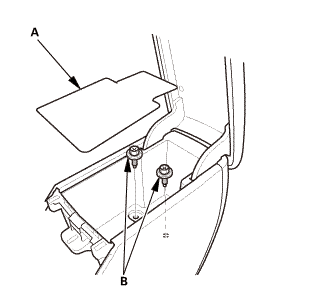 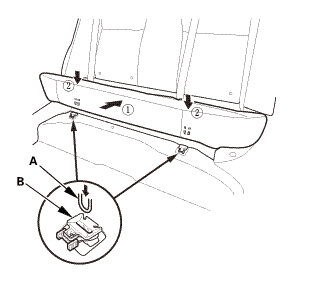 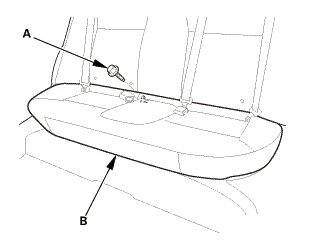 Remove the upper clip (C) from the stud bolt (D) with a flat-tip screwdriver, then remove the footrest (E). 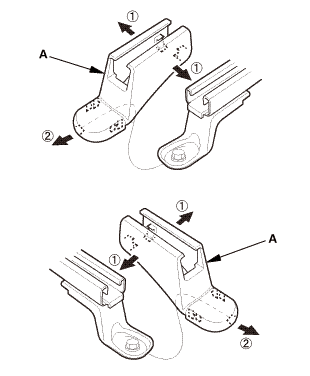 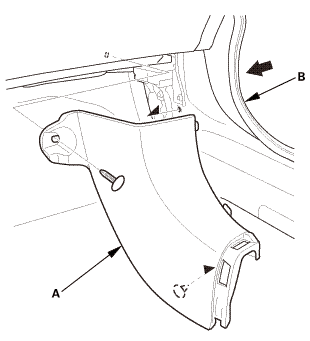 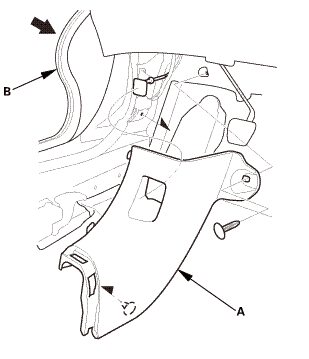 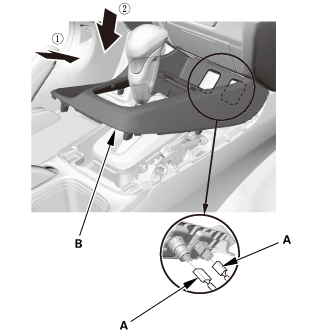 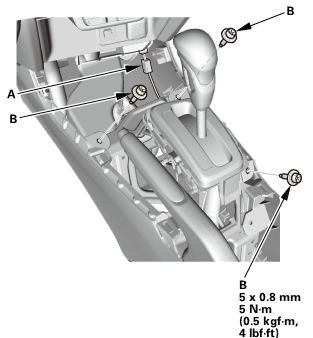 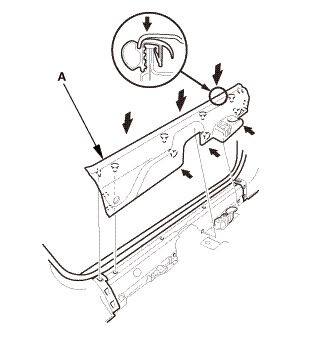 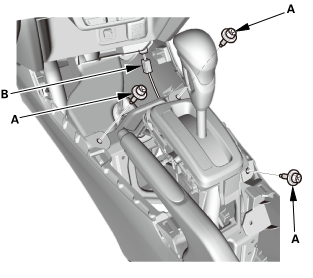 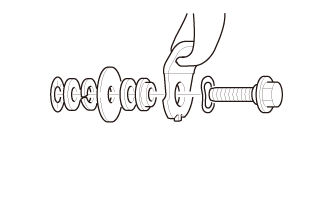 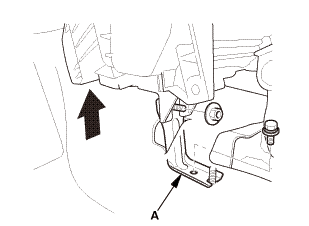 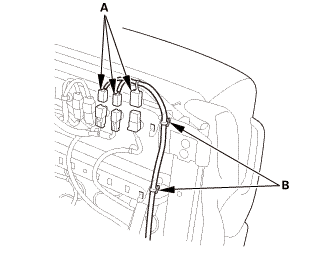 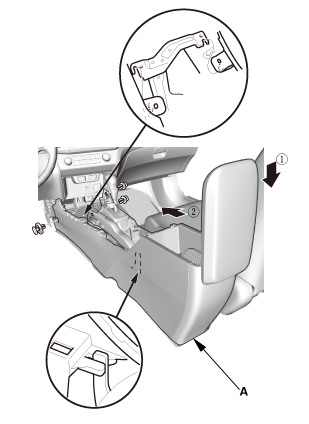 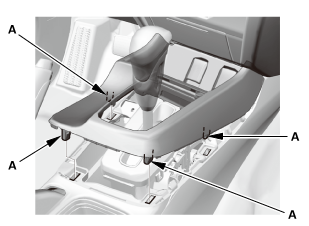 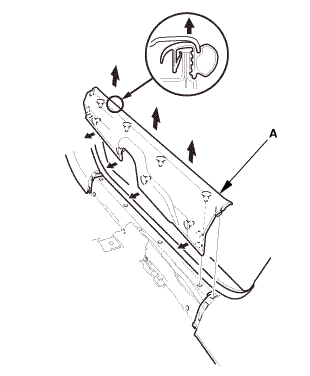 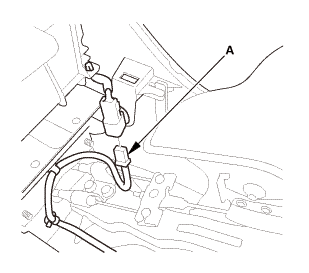 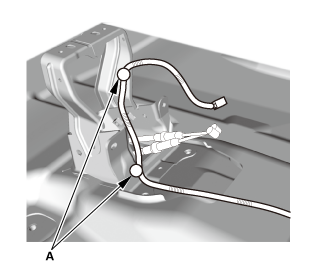 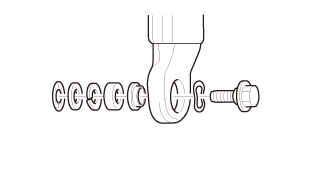 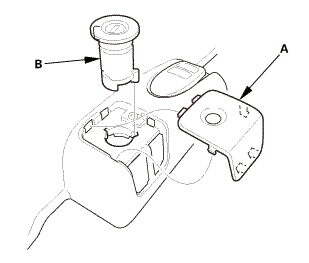 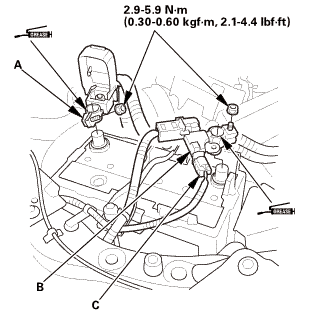 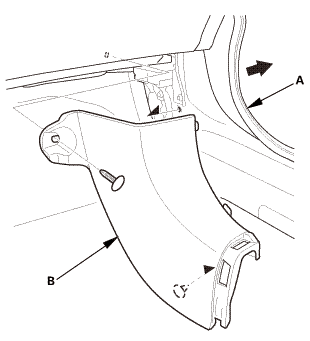 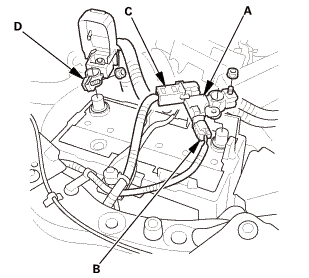 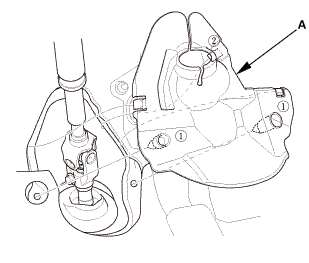 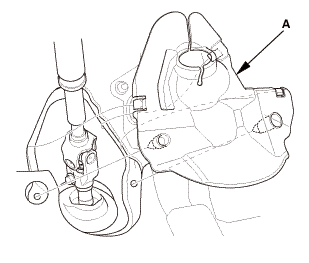 Install the upper clip (A) to the stud bolt (B). 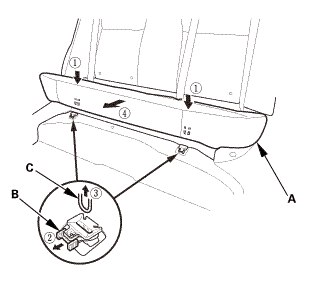 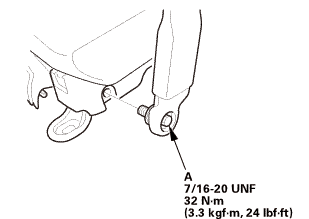 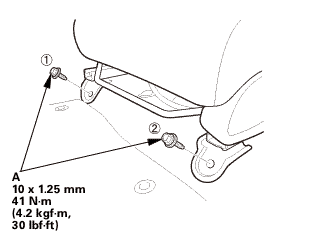 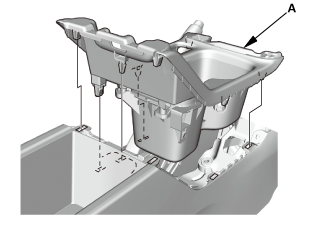 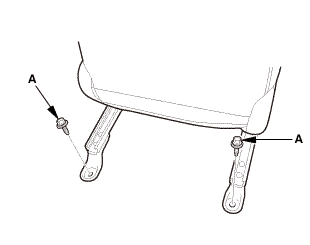 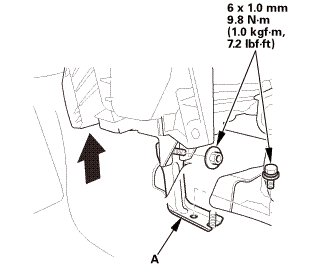 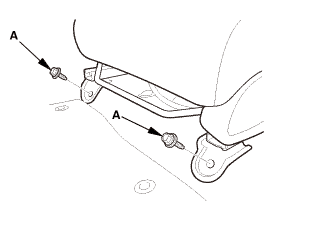 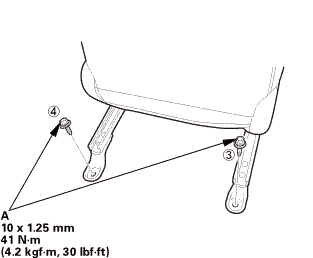 Install the lower clip (C) to the stud bolt (D), then install the footrest (E).